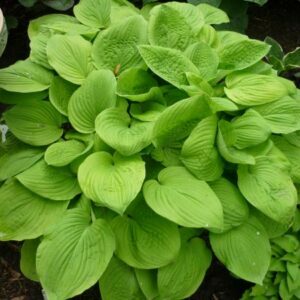 Medium: 22″ high by 41 wide” mound of green-centered, gold-margined foliage; leaves 9 1/2″ long by 5 5/8″ wide (14 vp); bright gold leaf margin 1/4″ to 1/2′ wide. 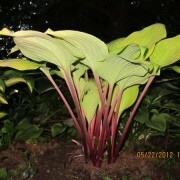 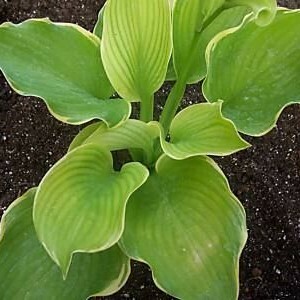 Alex Summers’ Hosta is a sport of ‘Gold Regal’. 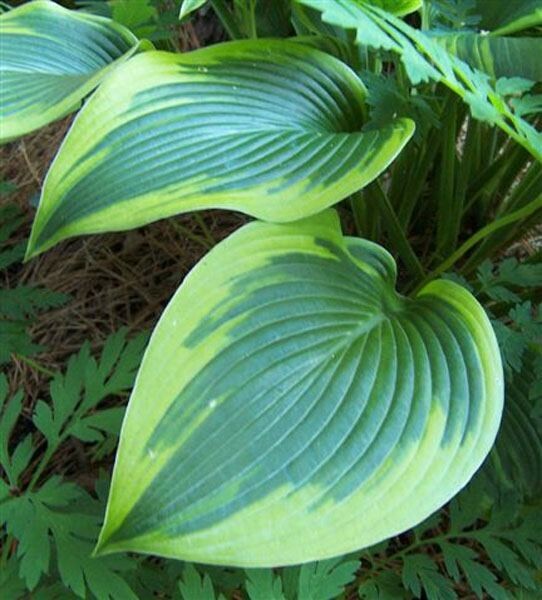 The leaf is green with a variable margin of gold. 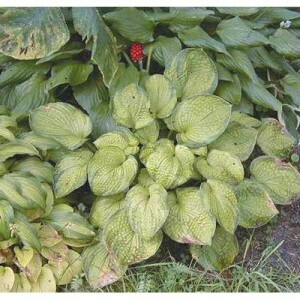 A very sought after hosta that makes a near perfect clump. 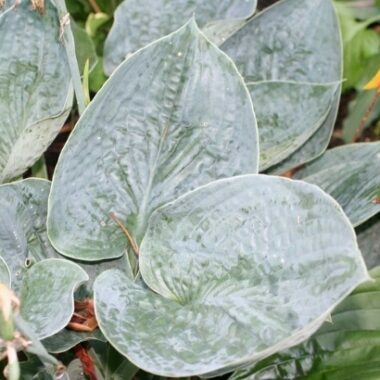 Leaves are ovate in shape and have beautiful deep veins. 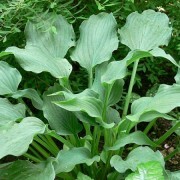 Flowers are lavender and bell shaped, bloom in July. 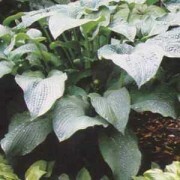 This hosta is named for one of the founding members of the American Hosta Society.